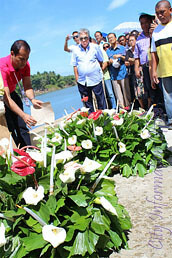 Residents of Sitio Cala-Cala in Macasandig expressed their heartfelt gratitude after the corpse of a 5-year-old girl was recovered during the second phase of the clean up activity undertaken by Kagay-anon Kami Katambayayong Mo, Misamisnon-KKK group. According to the report received by Mayor Vicente “Dongkoy” Y. Emano, the girl’s body was identified as that of Shanley Avila from Sitio Cala-Cala in Barangay Macasandig – one of the most affected barangays during the flood. “This is one great accomplishment of the KKK group of Congressman Bambi Emano and Congressman Peter Unabia of Misamis Oriental and Congressman Benjo Benaldo of this city. Because of the clean up drive, not only had the residents of Cala-Cala and neighboring barangays benefited, but also and most especially the family of the missing girl who had long hoped to see her again,” the mayor stated. 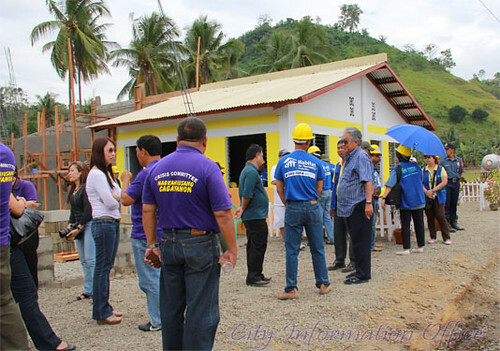 Some local government offices, especially those departments whose premises were affected by the flood during the typhoon Sendong can now move to the new City Hall Administrative and Legislative Buildings. 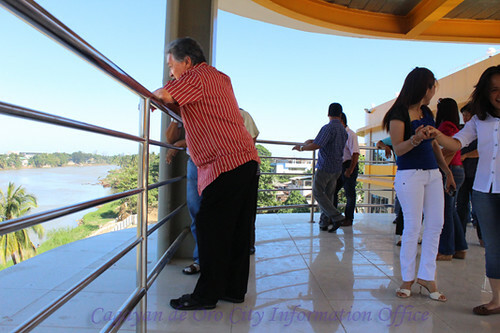 City Mayor Vicente “Dongkoy” Y. Emano, accompanied by the City Hall department heads, had earlier today toured around and inspected the 4-storey building. “It is essential that those affected city hall offices be moved to their new quarters so that city folks who require their services can now locate them more easily,” the mayor clarified. City Mayor Vicente “Dongkoy” Y. Emano has again expressed his gratitude to the Vice Mayors and to the concerned citizens of Misamis Oriental who, for a second time, helped in another voluntary cleanup activity*,this time in Barangay Macasandig, last Sunday. Like the first one, Cong. Pedro Unabia, Cong. Bambi Emano, and Cong. Benjo Benaldo still came to lead the group of volunteers for the cleanup which commenced at 8:00 am and lasted until around 4:00 pm. “This assistance they provided to lighten up our burden of cleaning up and helping us rise back up again after the tragedy is no easy task”, said the mayor. * The first clean up activity was undertaken last January 18, 2012 in Zones 5,7, and 9 in Barangay Carmen. Click here to read about it. There are now 3 Tent Cities in Calaanan established by the city through the support of Shelter Box and the Department of Social Welfare and Development (DSWD). 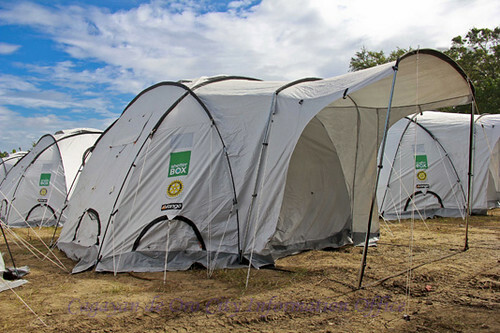 Tent City 1 which contains 360 temporary shelters was the first one to be set up and availed by flood affected families. Tent City 2 which has 250 tents, also donated by Shelter box, has just been set up in the Calaanan covered court, while Tent City 3 has 130 temporary shelters given by the DSWD. These Tent Cities were some of the areas inspected by President Benigno Aquino III with Mayor Vicente Y. Emano and other local officials during his recent visit here. City Mayor Vicente “Dongkoy” Y. Emano wholeheartedly thanked Senator Francis “Kiko” Pangilinan after the city recently received financial aid worth P2.5 Million for the construction of the “Bahay Pag-asa Youth Homes”. The mayor expressed his gratitude right after receiving the information from Department of Budget and Management 10 Regional Director Annabelle M. Atillo. “This project is part of the implementation of the Juvenile Justice Law of 2006 which is strongly advocated by Senator Pangilinan. This is a huge help for the best interest of our youth”, said Mayor Vicente “Dongkoy” Y. Emano. City Mayor Vicente “Dongkoy” Y. Emano stated that the City Government is set to build 700 houses in the Calaanan Relocation Site. “The city government itself will manage the construction of these 700 houses. This is a different set of houses aside from the 1,500 houses started by the Habitat for Humanity, and the 300 houses promised by the Filipino-Chinese Community,” the mayor clarified. “When the houses are completed, we will prioritize the transfer of those families who are presently living in the Tent City. Other families who lost their houses need not worry because you are all included in the relocation, and thus shall get houses as well,” the mayor added. 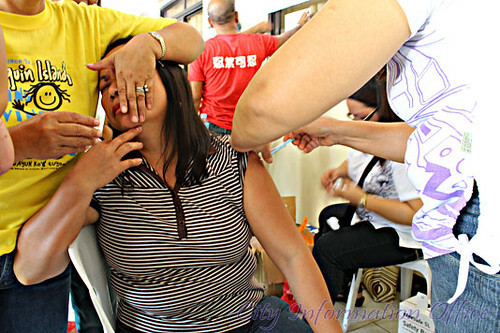 When typhoon Sendong with a storm signal No. 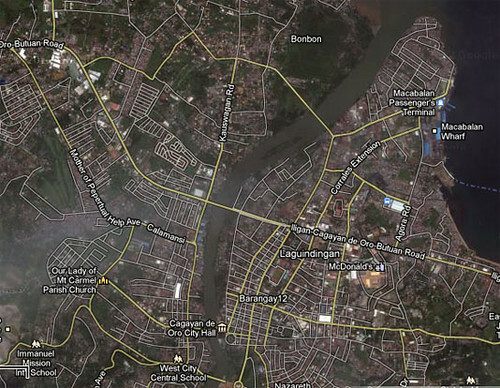 2 struck Cagayan de Oro City like lightning in the evening of December 16 and 17, 2011, a great devastation so frightening in dimension, misery and economic hardships fell on many residents of the city. Severely flooded barangays along the stretch of the city’s main river bank bore the brunt of destruction unsurpassed ever in the history of the city. With the onset of the widespread devastation in affected barangays, hardships due to environmental and economic displacement, misery and trauma from loss or separation from loved ones, friends, neighbors, destruction took its tool on the health of hundreds of affected families. Typhoon Sendong did not only wrought destruction to properties of residents, business institutions, private agencies and the local government alike, but it also summarily disturbed the peaceful lives residents used to lived and the peace of mind of every Kagay-anons who were directly affected by the flood or just bore witnessed of the tragedy. 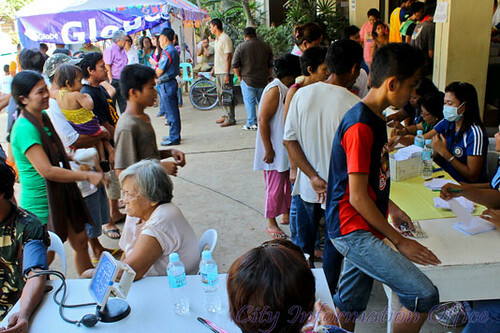 At the start of the calamity’s aftermath, City Health Office among other government offices became one of the many offices serving the public whose primary responsibility is to promote the general health and well being of the people was pushed to the forefront of relief and rehabilitation work for the thousands of flood survivors of Cagayan de Oro City. 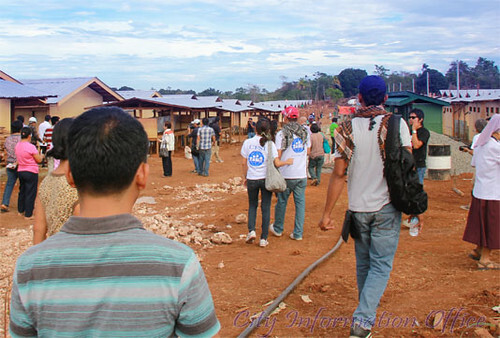 With great care and sensitivity, the City Health Office headed by City Health Officer Dr. Jerie Calingasan was up to its feet as it responded to the pressing health needs of affected families in evacuation centers and later on, in the relocation site of Calaanan- the “Tent City” where 364 families have already been provided temporary shelter at present time. The City Health Office provided its relief and rehabilitation services to as many survivors as it can. For one, it facilitated the deployment of medical teams of doctors and nurses in evacuation centers and in the “Tent City“. Through the medical teams proper diagnosis, urgent treatment and prevention of diseases ,illness and injury of survivors were attended to as needed. The maintenance of proper sanitation in over populated evacuation centers and relocation site of Calaanan through orientation and actual practice of proper garbage disposal was vital. City Health Office ensured that people were taught in evacuation centers the basics of waste segregation. At the start of its relief operations, evacuation centers with inadequate or without comfort rooms were identified by the City Health Office and thus, recommended the use of portalets in these areas. 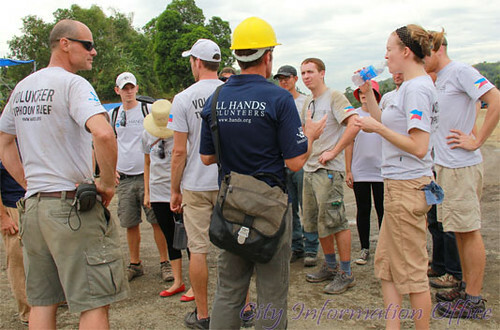 Providing the day-to-day steady supply of safe and clean potable water to evacuation centers and “Tent City” came pouring in as support from several generous multi–national corporation donors like Del Monte Philippines, Nestle Corporation and Philippine Center Corporation among others, was also overseen by City Health Office. To prevent an eventual spread of bacteria in flooded communities, anti-bacterial medicines were distributed house to house in many barangays to ensure control of the dreaded leptospirosis. As part of its collaborative work with other departments, it regularly submits update report to the Department of Health (DOH) on the state of health of thousands of survivors. At present, in the midst of great wanting , City Health Office continue to do its share of responsibility in promoting the general health and well-being of survivors once stricken by the tragedy, but now hopeful and ready to rise up once again to rebuild their lives. Mayor Vicente Emano was not pleased at what Bukidnon ex-Congressman Neric Acosta did when he recently became a spokesperson for a particular forum. According to Emano, he was really wondering why he was the only one being picked upon by Acosta with critical comments and never his counterpart in Iligan when in fact the circumstances and issues between the two (2) cities are similar in terms of the Sendong event. In a forum held at the Xavier University, Acosta ‘accosted’ Emano and ex-Mayor Constantino Jaraula about their in-action regarding the Department of Environment and Natural Resources’ (DENR) warning about particular danger zones in the city. “I’m wondering, why am I the only one he is attacking when all circumstances and issues between Cagayan de Oro and Iligan City are the same,” the mayor said. Mayor Emano further said that, during the recent visit of President Benigno Aquino III in the city, Acosta approached him (VYE) but he did not get what he said because of the noise during the occasion. It is known that Acosta and Iligan City Mayor Lawrence Cruz are both members of the current (Aquino) Administration’s Liberal party. Acosta is presently the appointed Presidential Adviser on Environment and the General Manager of the Laguna Lake Developoment Authority (LLDA). THE Philippine Flag at the City Hall grounds is still flying at half mast as the city government and the people of Cagayan de Oro continue to quietly mourn the lives that were lost and the devastations caused by flashfloods last month. It was 40 days ago when in the quietness of the night water engulfed and brought several barangays under water claiming hundreds of lives. Men, women and children were carried by flood waters and some were helplessly buried in mud. The struggle that these victims faced was unimaginable. Until this day, hundreds are still missing. Moving on has been a painful task for most, if not all Kagay-anons, knowing that life will never be the same again. But every disaster and calamity brings opportunities for kindness and good deeds. Kagay-anons tasted this after help and assistance in cash and kind from different parts of the country and foreign nations, groups, organizations and religious sector poured into the city. Help was enormous and a very thankful Mayor Vicente Emano, Vice Mayor Caesar Ian Acenas and members of the 16th City Council have aired their gratitude for the sympathy, help and overwhelming support. Relocation sites are now being established and thousands of houses are being constructed for calamity victims, a place where they can once again live out their dreams. Yesterday, January 25, the first 40 housing units at Xavier Ecoville in Lumbia and the first four at the Calaanan Relocation Site, a joint project of the city government and Habitat for Humanity, were turned over to beneficiaries. Mayor Emano vowed that this will continue until every affected family is tucked into permanent homes. 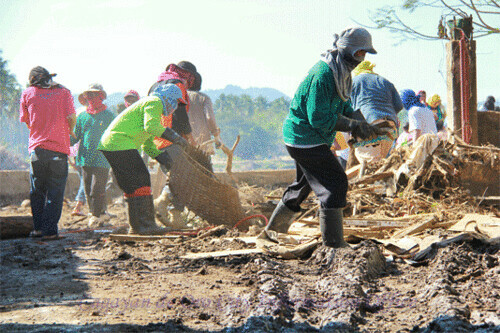 Cleaning the debris and wreckage brought by the typhoon was not easy but helping hands came. 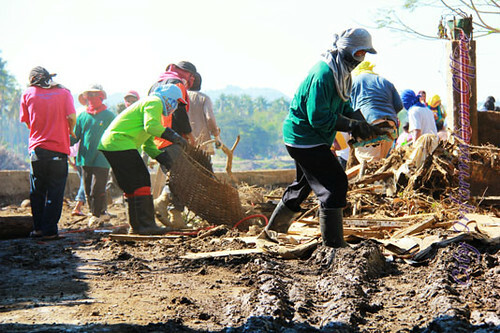 Local officials and residents of the different municipalities and cities of Misamis Oriental with a force of 4,000 volunteers brought needed equipment and cleaning materials to clean-up a badly ravaged barangay Carmen. The “Kagay-anon Katimbayayong mo Kami,” a group initiated by Rep. Bambi Emano of the 2nd District of Misamis Oriental, Cagayan de Oro 1st District Congressman Benjo Benaldo, First District of Misamis Oriental Congressman Peter Unabia, the Vice Mayors League and mayors of the province spearheaded the project. The United Nations Development Program and other groups have also entered the city for a clean-up drive. Rehabilitation of lives and of devastations caused by the calamity is now going on. Forty days after the big flood, the city has moved forward but it doesn’t mean that it has forgotten the tragedy. This morning, a special mass for all the victims of Typhoon Sendong was held at the City Tourism Hall, as city officials headed by Mayor Emano continue to mourn for them. The destroyed structures and roads will be rebuilt but time will tell when the wounds would finally heal for Kagay-anons. It may come a day at a time, but with God’s help it will. Amidst all the broken lives and broken pieces, the people in the City of Golden Friendship still find hope. 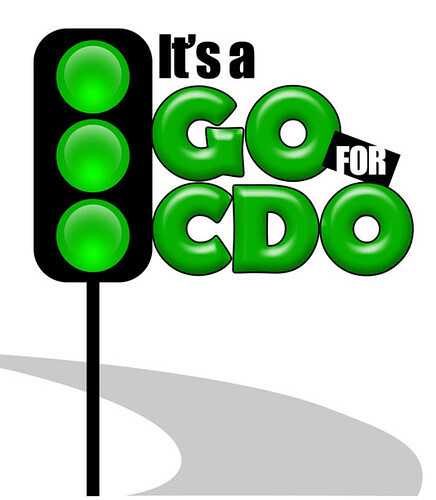 And as Mayor Emano had pronounced, in time Cagayan de Oro will rise again. Vice Mayor Caesar Ian E. Acenas receives the United Nation’s special representative of the Secretary General for Risk Reduction Margareta Wahlstrom (left) and her team when they paid a visit at City Hall and discussed typhoon Sendong & related matters.